By 2030, Australia’s society will be defined by a broader group of social ‘tribes’ which will transform the housing market and shape how and where Australians live, according to research by the Commonwealth Bank. 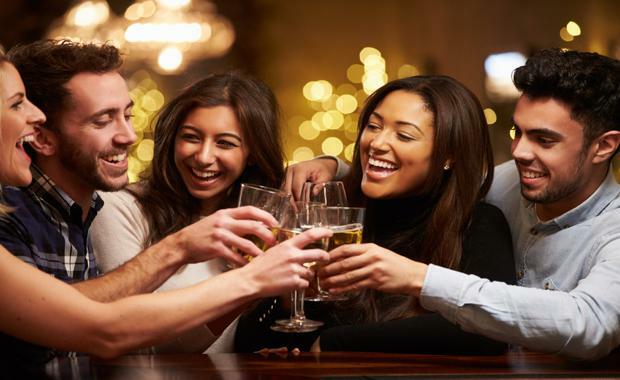 For decades, Australia’s predominant households or “tribes” have remained fairly consistent: Flatting friends, newlyweds, nuclear families and empty nesters. However, according to the CommBank Future Home Insights Series, an evolving population, more higher-density living, increased multiculturalism and housing market dynamics are driving the formation of new groups. Peter Pans are a group on the rise. Born between 1954 and 1965, this generation of Baby Boomers will be aged between 65 and 76 in 2030. This young-at-heart tribe has no intention of slowing down, they’ll live independent, live for as long as possible, enabled by the latest at-home technology. Members of the City Switcher group are choosing the regional lifestyle over the hustle and bustle of city life enabled by technology and regional transport links. The Commonwealth Bank research identified five architectural trends that will respond to these tribes, their needs and will transform how they live. A dramatic increase in the ability to reconfigure and adapt homes will allow home owners and renters alike toscale their dwellings in line with their financial capacity and living needs. Think flexible floor plans, sliding walls,mechanical ceilings and robotic furniture – all ways that architects and designers are making small spaces feelbig. Architects are also designing small, basic homes that can be expanded and embellished as people grow their savings. 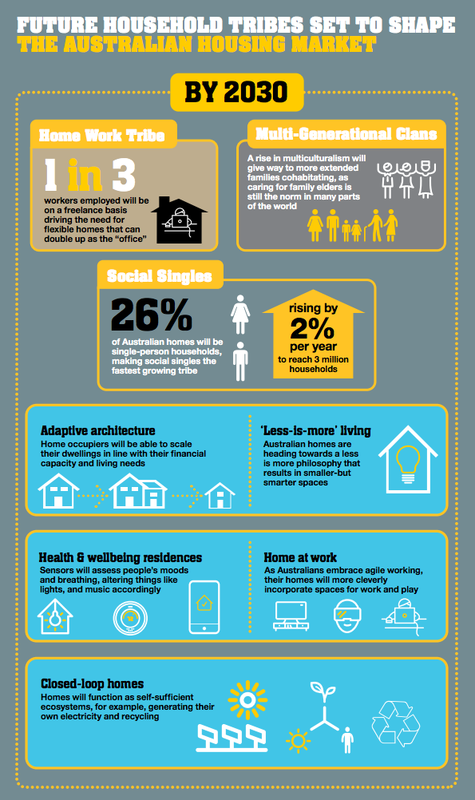 In 2030, many Australian homes will do far more than provide shelter – they will also help occupants feel better. Sensors will assess people’s moods and breathing rates as they walk in the door, altering light and music accordingly. Homes will also monitor health and fitness, reminding people to be more active, and helping Peter Pans to live independently for longer. By 2030, more Australian homes will function as self-sufficient ecosystems, generating their own electricity, disposing of waste, recycling water and growing fruit and vegetables. Not only will homes be so technologically advanced that they will be able to learn people’s habits and observe changes in their routines, they will also monitor their own energy performance and help cut energy costs. Australian homes are currently the most super-sized in the world, with sprawling lawns to water and multiple rooms to heat. But more Australians are embracing a simpler way of living, a less-is-more philosophy that results in smaller-but-smarter spaces, eco-friendly materials, with an accent on social gathering points. As Australians embrace freelancing and agile work practices, their homes will more cleverly incorporate spaces for intellectual focus and productivity alongside areas for socialising and living. With space at a premium, get ready for clever dual-purpose furniture: kitchen benches converting to work desks, coffee tables becoming digital screens and desks folding out from walls. Apartments will also be designed with the Home-Work Tribe in mind, with communal spaces for working and swapping ideas.